Do I have to declare my income from eBay? Do my eBay earnings constitute a business? First of all, you are liable to pay income tax on the profits from any business; the fact that you are using eBay to conduct this business is largely irrelevant. The more pertinent question is whether you are a BUSINESS or not! You do not have to declare or pay income tax on profits made from selling unwanted items which were bought for private and/or personal use (although occasionally capital gains tax may be payable) for example, if you purchased a shiny set of carbon BST wheels for your motorbike and then later sold them at a small profit after using them for 6 months. We at LeeP Accountants can advise you on your individual circumstance. – What was the item, and what was your motivation for buying it? – Was the item used personally before it was sold? – How much time elapsed between buying and selling? – What was your motivation for selling the item? – Was it an isolated transaction, or one of a repeated series of similar transactions? – How often do you buy and sell items? – Is your buying and selling organised like a business? 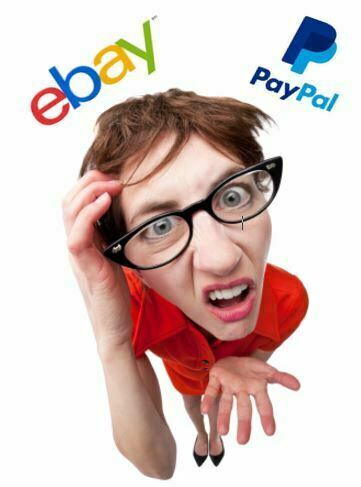 You cannot avoid paying tax on your eBay activities simply by labelling it your “hobby”, if the reality is that it is more like a business and the motivation is to make a profit. It is also irrelevant whether you are registered as a private seller or as a business on the eBay website. If your tax-free personal allowance of £11,850 is being fully used by your full-time job, then there’s no “get-out”, your side line eBay business would need to be declared and you’d have to pay tax on any profits. 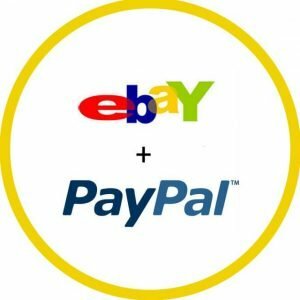 If you establish that the eBay income does in fact represent a business, then you need to register that business with the tax office. You only register as a self-employed person once, regardless of how many different businesses or online business names you go on to have. This triggers HMRC to start sending you requests for an annual Self-Assessment Tax Return. You will need to register by 5th October following the end of the tax year – so if you made profits which need declaring during the year April 17- April 18 then you need to register by 5th October 2018. Self-employed people usually have to pay Class 2 National Insurance contributions at a rate of £2.95 per week (in practice they are now paid yearly or 6-monthly, with your tax). However, if you expect your eBay income together with any other self-employed income to be less than £6,205 per year, you will can apply for an exemption. 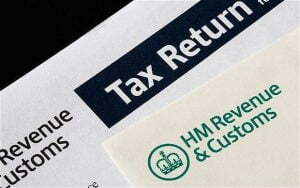 Once registered, you will be allocated a Unique Taxpayer Reference (UTR) number. You will then be sent a request for a self-assessment tax return in April every year, on which to report all your income for the tax year that has just finished. You will need to keep records of your business income and expenses so that the tax return can be completed. You can choose to prepare your business accounts to any date each year, rather than having to use the anniversary of when the business started. 31 March or 5 April are the simplest options for tax purposes, so most people opt for either of those. Am I old enough to pay tax? You have to pay tax whatever your age, if you earn enough in a tax year, which runs from 6 April to 5 April. There are no special exemptions for children or students. Age is mostly irrelevant in working out tax, though people aged over 65 are entitled to some minor additional tax allowances. People aged under 16 at the start of the tax year are exempt from having to pay Class 4 National Insurance on their business profits for the whole of that tax year. In working out the tax, you generally start with your eBay sales. The figure to use on your accounts and tax return is the one before all eBay and PayPal charges have been deducted. You then deduct all allowable expenses such as the cost of the goods you have sold (whether from eBay or elsewhere), and admin expenses such as eBay charges and computer expenses. You may also have some travelling expenses, postage, courier costs and premises costs to deduct. This leaves your taxable profit, which is the amount you potentially pay tax on. LeeP Accountants offer fixed price affordable tax return services to help you both calculate and plan for your taxes. Most small businesses are allowed to submit tax figures on a cash basis. This means that you work out your income using payments and receipts, without having to make adjustments for stock in hand, or other accounting adjustments which allocate income more realistically between different years. You have to opt in to using this method on the tax return, and it comes with some drawbacks, such as not being able to offset any “losses” against other income (which could be a disadvantage if you have other earned income but have made a loss on eBay trading), and not being able to claim expenses until you have actually paid for them. If you have no other income, and your eBay income is over £11,850, there will be tax to pay, but only on any income above £11,850. The first £34,500 of income over £11,850 will be taxed at 20%, and the balance at 40%. 45% tax is due on any income over £150,000. Additionally, you pay Class 4 National Insurance on your self-employed earnings at a rate of 9% on any income between £8,424 and £46,350 in a year, and 2% on any income over £46,350. If you have another job, whether part-time or full-time, the tax calculation is more complicated. You do not get a separate tax allowance for each source of income. The total tax and Class 4 National Insurance on your self-employed income (together with any other minor tax adjustments that get sorted out on the annual tax return) is usually payable by 31 January after the end of the tax year. So, if you started your eBay business in October 2017, this falls in the tax year to 5 April 2018, and the tax on the business income up to 5 April 2087 will be payable by 31 January 2019. If the tax and Class 4 NI payable in a year is over £1,000, you may have to start making advance payments on account of tax every 6 months. The business started in June 2017. Assuming no other income, or complications. Profit from business in year to 5 April 2018 = £15,000. 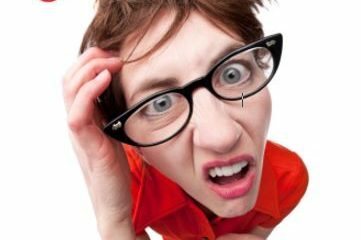 Income liable to tax = £15,000 – £11,850 = £3,150. Tax at 20% = £630. Income liable to Class 4 NI = £15,000 – £8,424 = £6,576. Class 4 NI at 9% = £591.84.